Horror author Troy McCombs is talking today about how to grow as an author. 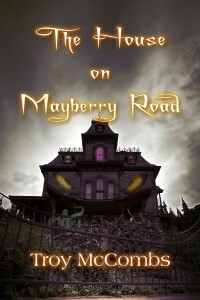 He is the author of The House on Mayberry Road and Dark World. What can I say about writing? It’s been there for me almost since the beginning and has helped me through some really tough times. While the people I grew up with were getting into trouble, I was sitting at home, moving the pen across the page or moving my fingers across the keyboard. It was more than just an escape and a hobby; it was (and still is) a way of life. Art is a way of life for all artists. We’re constantly trying something new and always trying to improve our craft as well as ourselves. I can’t stress this enough. To get good, you have to write, write, write. To learn the craft, you have to read a lot of books, whether good or bad. Sometimes the bad ones will help more than the good ones will. Also, get a copy of The Elements of Style; and, if you’re new–or rusty–you can pick up almost any grammar book you can find to touch up on the basics. Let me talk a spell about developing characters. Why do some characters in novels you read seem to jump off the page, while others seem to remind you of a stale cookie you ate that expired two years ago? Well, the answer is: details. Not just a wart or long, oily hair, or a crooked smile. I’m talking about the inner person. For instance, who’s your best friend? Who’s your worst enemy? To others, the roles might be reversed. Your best friend might be someone else’s worst enemy, etc. What pisses them off? What makes them react? What do they do when put in certain situations? Everyone’s different, so don’t make two people the same. And don’t make bad guys as dark as night and good guys as perfect as God. Sometimes the choir boy kicks his dog; sometimes a psychopath gives to the needy. 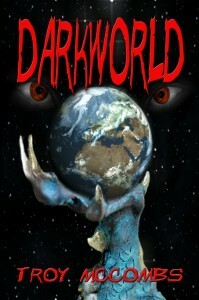 In my new novel, Darkworld, there are two characters who just hate each other. They don’t get along at all. They actually fight each other while much worse things are happening all around montauk-monster.com/pharmacy/antibiotics them. Hank is a reckless trouble-maker who can’t stand Bobby, a confused pyromaniac. But despite how much they want to rip each other’s head off, in the end (I won’t give anything away), they both realize how pig-headed and stubborn they’ve both been in a time when they could have really helped each other. DON’T be afraid to have your characters change in the story. Plant them like a flower and watch how they grow with every new situation. Think about it… if we came to earth with no enemies, no conflicts, what would be the point being here? And what’s the point of writing a story without putting your heroes in some series danger? Would life (or art) still be worth living?? I don’t know. I don’t think so. Details, evolution, and dimension create believable characters. If you want to learn how to describe people on the outside, observe people in your daily life. How do they walk? Any nervous ticks? What’s their voice sound like? There are about a million different aspects of a person you can describe that’ll bring the reader in. Be creative with this. Observe people, even if you just watch tv. 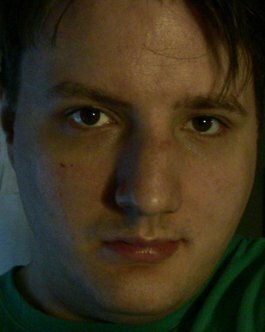 For instance, I saw a guy on a show who wasn’t cross-eyed, but when he looked at the camera, (as if he were looking straight at me) it looked as if he was staring at the tip of my nose like some crazed, doll-eyed clown. This comes in time, believe me. Just look and find something that’s different (or something that’s very ordinary–but what’s fun about ordinary?) about everybody. That’s the trick to describing people. Every time you see something different, notice something unique. That is my advice on characterization. Troy McCombs is the author of several horror novels, including The House on Mayberry Road and Dark World (both published by World Castle Publishing). At the age of 23, he had a screenplay, “Headspace” produced into a low-budget horror flick in NY. When he’s not writing, he’s playing guitar, reading, watching a good flick, or working out. He lives in West Virginia with his mom and new doggy friend, Lolly. He hopes to someday move to the countryside, where he can own a lot of land and a lot more dogs.